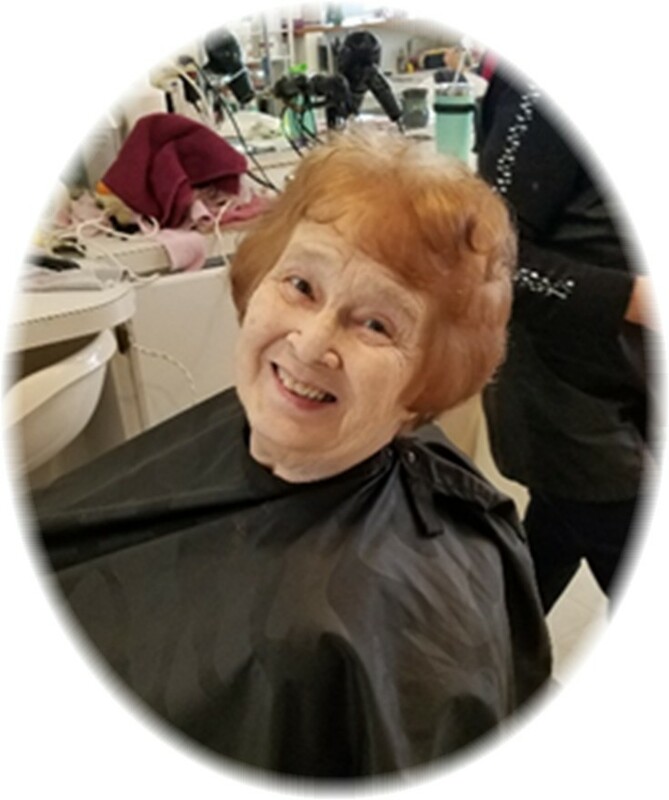 On the evening of March 31, 2019, Fern passed away at Holy Rosary Healthcare in Miles City, MT as a result of internal bleeding and heart failure. Fern was surrounded by her family at the time of her passing. She was 80 years old. Fern Montgomery was born in Laurel, Montana on December 27, 1938. She was the seventh child of Nels and Evelyn Ness. She met the love of her life in 1961 while she was working for the telephone company in Miles City and he was an Air Force Corporal stationed at the Miles City Air Force Station. They were married a year later, and Fern dedicated her life to raising her five children and turning every house they lived in into a home full of love and encouragement. A firm advocate of personal leadership and excellence, Fern was an active volunteer in the local 4H organization, dedicating over twenty years of service in support of her children and the Kinsey community. Fern had a passion for music and literature, continually encouraging her children to play and perform to the best of their abilities. She enjoyed all forms of needlework, from knitting sweaters to crocheting blankets and artistic stitchery projects. She spent her later years quilting and making jewelry. Fern was preceded in death by her son Richard Petersen of Billings; daughter Linda Seitz of Missoula; brothers Terry Ness of Great Falls and Ivan Ness of Athol, ID; sisters Joyce Fiechtner of Laurel, Janet Sorg of Laurel, and Grace Barthuly of Billings. Fern is survived by her husband of 57 years Ted Montgomery; her sisters Marilyn Scheidecker of Ronan, Ardyth Brown of Eugene, OR, Glenda Martin of Billings, and Valley Lowrance of Pagosa Springs, CO; her children Rosalie Richoux of LaPlace, LA and Nancy Whipple of San Diego, CA; grandchildren: Kelsey and Kyle Richoux of LaPlace, LA, Chester Seitz of Missoula, Rebecca and Alex Peterson of Billings, and Jeremy and Collin Whipple of San Diego, CA; and six great-grandchildren, Daughter-in-law Theresa Peterson of Billings. Fern will be interred at Yellowstone National Cemetery at a time to be determined. Condolences to the family may be sent by visiting www.stevensonandsons.com. So very sorry for loss. Your family is in my thoughts and prayers. My condolences to the family. I was so sad to hear of Fern passing. The stories he had and I always liked talking with him. May God bless you. My heart hurts for your family. Treasure all of your many memories! Rosalie, so sorry for your loss. May God comfort you and your family at this difficult time. Prayers for all of you. My sincere condolences to all of Fern’s family. She was a lovely lady and neighbor. I will miss her.